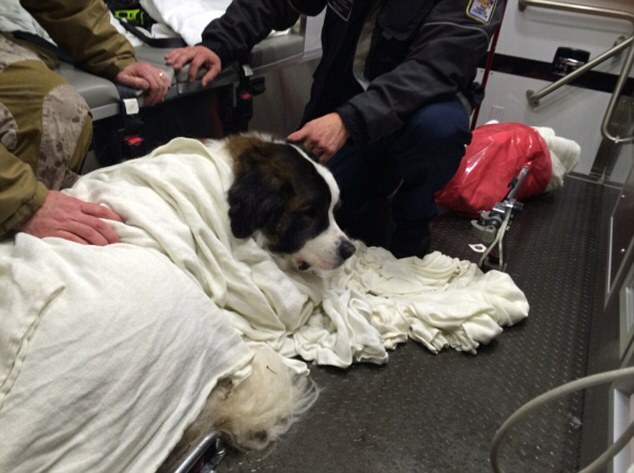 A St. Bernard would have frozen to death on Friday had it not been plucked out of a glacial Virginia lake. St. Bernard's are usually known for being skilled rescue dogs but on Friday Milo needed a team of people to get him out of icy waters in Fairfax County. Milo reportedly wandered into the lake while his owners were tubing down a hill, according to ABC. The family, who has not been identified, called 911 and the Fairfax County Fire and Rescue Department were able to get Milo out of the 21-degree weather and into a warm and safe environment. 'Our crew donned ice-rescue suits, slid out to where the dog was and pulled him out,' Chuck Ryan, deputy chief of the department’s special-operations unit, told The New York Post. Ryan said the family did the right thing by calling the authorities instead of trying to get the dog by themselves. 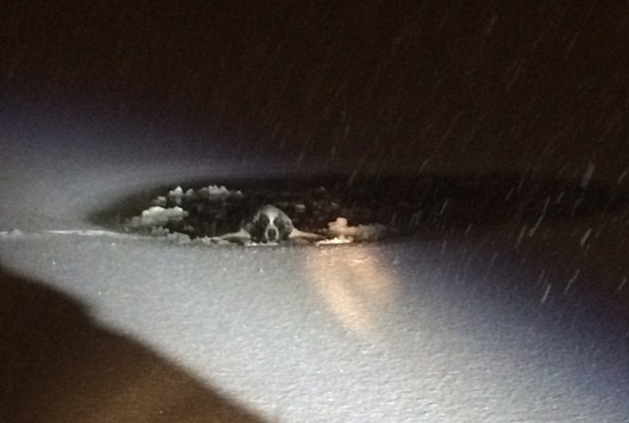 Responses to "Firefighters brave blizzard to rescue Saint Bernard dog from lake "